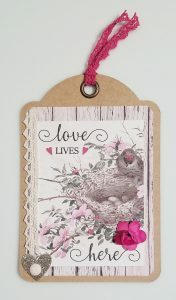 Lisa Riley from our ScrapbookingStore.com Design Team created these adorable tags below using our February Scrapbooking papers and embellishments. Checkout her instructions and photos below! I was inspired as soon as I opened this kit! 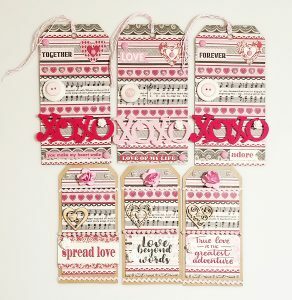 The gorgeous papers in the Authentique Romance collection were just begging to be turned into some elegant Valentine's Day tags! My favorite piece of paper was "Romance Six", so I used that paper to cut six tags, three large (6 1/4 × 3 1/8) and three smaller (2 × 4). I then adhered the tag cut-outs to kraft tags for more stability. Then the fun part! I punched out several pieces from the awesome "Ephemera" sheet included with the Authentique paper set and adhered them. Then I continued to collage items on the tags until I was pleased. I used pearls, enamel dots, buttons, wooden hearts, rick rack, and resin and paper roses. 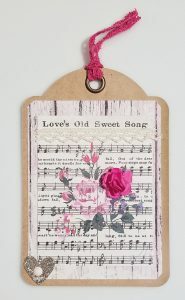 The three large tags are topped with pink and white baker's twine. BUT - you could use any items in your collection that delight you - that is the beauty of collage! When I saw the paper with the beautiful journal cards, "Romance Eight", I loved it, and I knew I had to use those too! These tags measure 4" x 5 3/4". 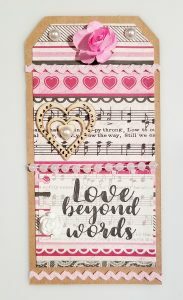 I chose the pink weathered board paper from "Romance Three" and trimmed that paper to fit the tags as a background to show off the journal cards. I cut those apart and then chose my favorites. 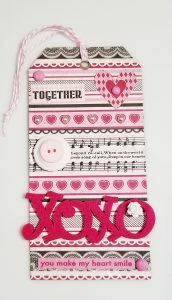 I adhered the pink background paper and then a journal card to each tag. 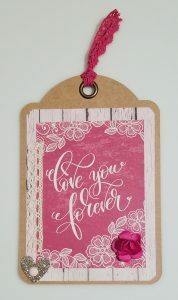 Then I pulled out five champagne glitter hearts from the Crate Paper ephemera set included in the kit. 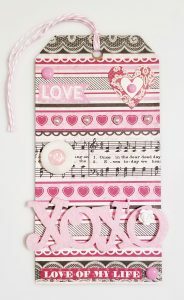 I adhered those in the corner of each tag for a touch of sparkle! I also added enamel dots, lace, and paper roses. 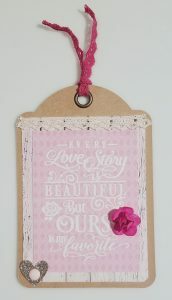 These tags are each topped with pink lace. 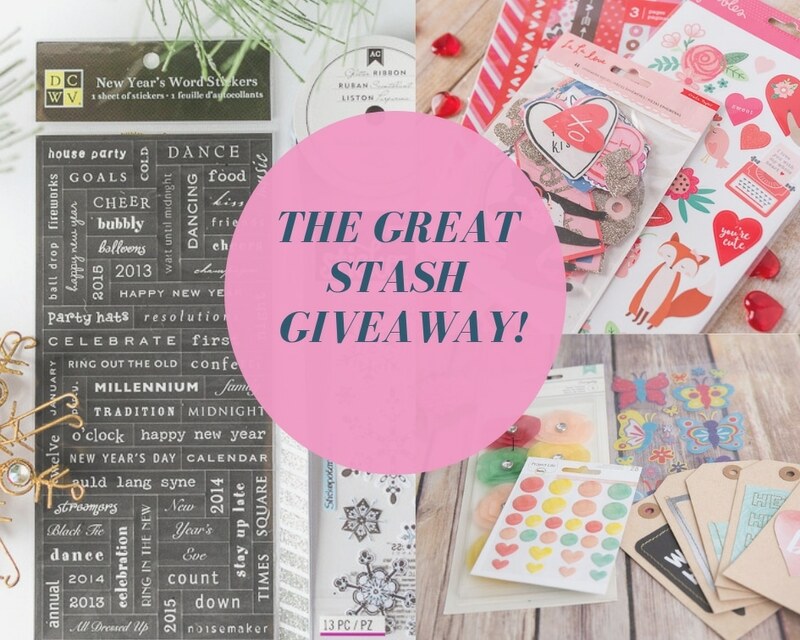 Again, the fun of these is adding pieces you love! Tip: If this is helpful, paper-to-paper applications are best with a dry adhesive, such as an adhesive runner. When I am adhering embellishments such as buttons and pearls I use a wet adhesive. My favorite is Aleene's Tacky Glue, which comes in white, which dries clear, and also in clear.